is offered three times in one big room at the Conference. 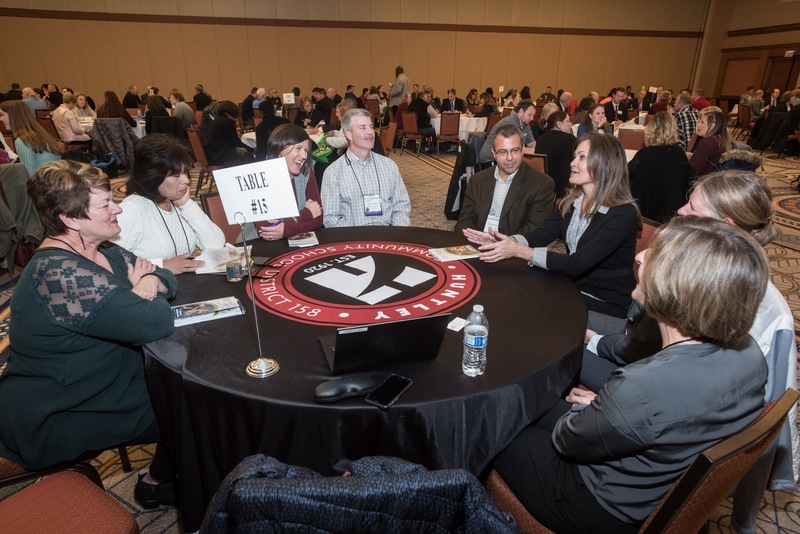 The 2017 Joint Annual Conference will offer 24 presentations in the popular Carousel of Panels, an alternative to traditional panel presentations that allows guests to attend multiple panels in one time slot and in one location. From the hiring of substitutes to the development of a school medical program, and from leadership to community engagement, these mini panels enable participants to attend three 30-minute sessions, all in one room, to make the most of this knowledge-sharing opportunity. Differentiating PTELL Referenda Questions — Klein, Thorpe & Jenkins, Ltd.